The waters have receded after the record flooding of Hurricane Florence, but many families in North and South Carolina still face the extraordinary challenge of recovering and rebuilding. We at Domtar are doing our part to help people in our communities through diaper donations and other assistance as Hurricane Florence relief efforts continue. 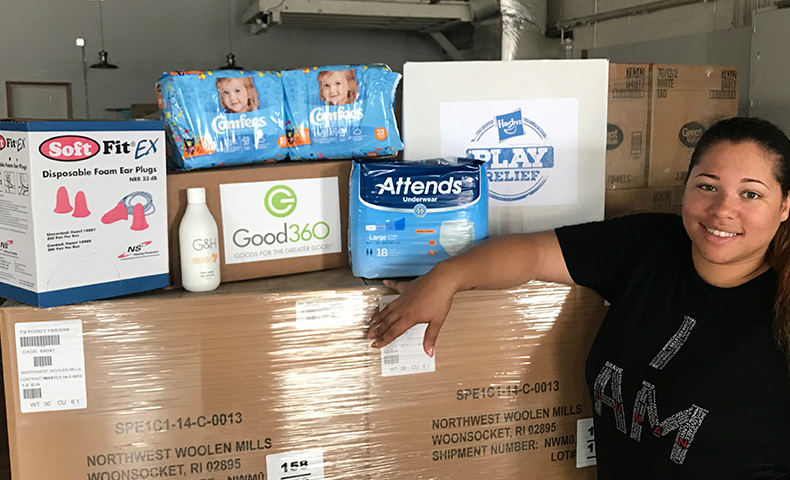 We’re meeting needs in coastal and inland areas through our Comfort and Care program and our ongoing partnership with Good360, a global leader in product philanthropy and purposeful giving. This partnership has enabled us to deliver more than 850,000 diapers for adults and infants to agencies in storm-ravaged areas as part of our region’s Hurricane Florence relief efforts. Partners such as Diaper Bank of North Carolina and agencies in Myrtle Beach and Dillon County, South Carolina, have been distributing the donated diapers. Our product donations, as well as items collected at local Hurricane Florence relief drives, went directly to storm-stricken areas in 17 counties. Savannah McBride, senior financial analyst in our Raleigh office, is originally from Morehead City, North Carolina, which is in a coastal area that was hit hard by the storm. She organized a supply drive at work, with plans to drive the supplies to Morehead City. However, McBride’s colleagues donated so generously that she couldn’t fit everything in her car. In a show of goodwill, a local courier company agreed to help transport the Hurricane Florence relief supplies to Morehead City, free of charge. 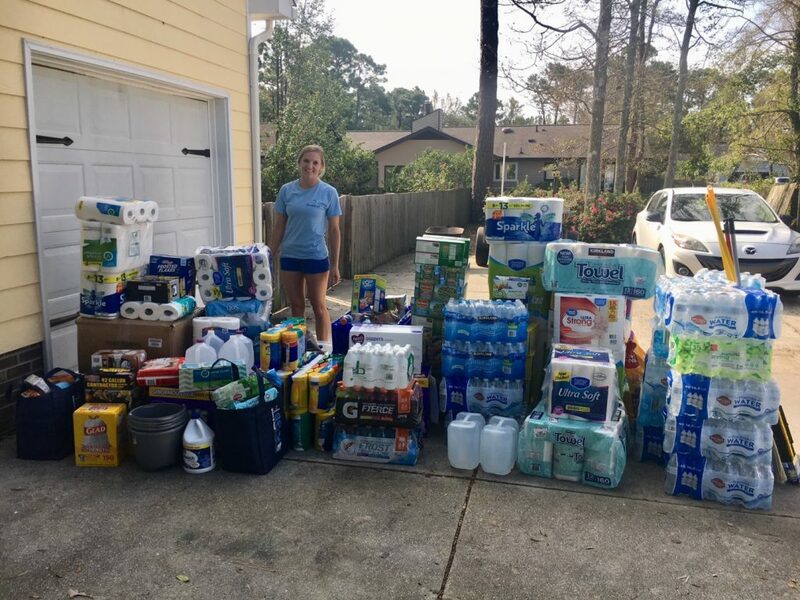 Savannah McBride visited her hometown of Morehead City with Hurricane Florence relief supplies donated by colleagues in Raleigh and Greenville. Morehead City was particularly hard hit by the storm. In addition to our Comfort and Care diaper donation, we made financial contributions to two organizations involved with Hurricane Florence relief. We donated to the Checkered Flag Foundation, which supports first responders in communities affected by the hurricane. The foundation, created by NASCAR driver Brad Keselowski, is arranging fuel deliveries and providing food and other supplies to emergency and rescue workers in the affected areas. We also donated to the Food Bank of Central and Eastern North Carolina. The food bank distributes millions of meals annually to residents in 34 counties, many of which suffered significant damage after record rainfall and river levels. Despite personal hardships and, in some cases, property losses of their own, colleagues at the Marlboro and Plymouth mills and the Raleigh divisional headquarters also have given time and supplies to Hurricane Florence relief efforts. These contributions not only help their neighbors during a difficult time, but they also exemplify Domtar’s value of caring for the communities where we live and work. Sign up for our newsletter to get the latest Domtar news delivered to your inbox. © Copyright 2019 Domtar Corporation. All Rights Reserved. Get Newsroom headlines delivered to your inbox once a month – subscribe here!